Al Huda Institute Canada has partnered up with Mercy Mission Canada to help with one of their newly launched projects: Clothing 4 Dawah. 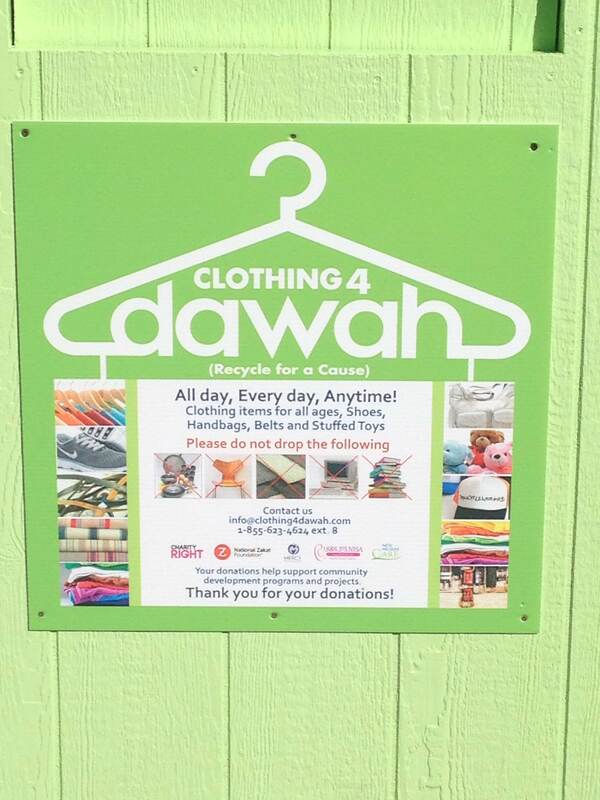 Clothing 4 Dawah is a project that allows individuals to donate any unwanted materials they may have. We accept clothing items for all ages, accessories such as belts, shoes and handbags, and certain household items such as bed linens and curtains. We also accept stuffed toys for children. How will the donations help? 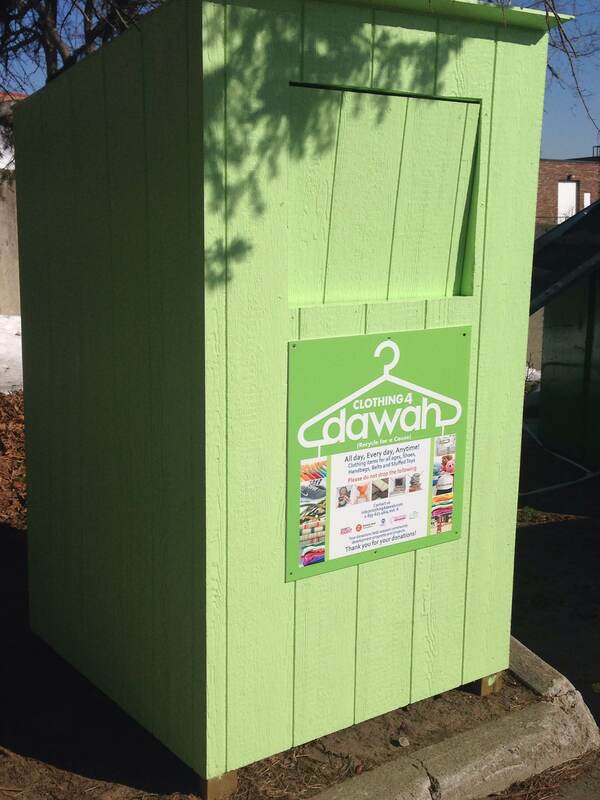 Clothing bin located at the back of the Al Huda building in the parking lot. With the sun shining bright and the beautiful flowers blooming all around us, it is safe to say that spring is fast approaching! Cleaning out your drawers and closets and getting prepared to welcome the new season? Have a lot of unwanted items lying around and you do not know what to do with them? With the mission to serve humanity, we encourage you all to partake in this wonderful opportunity which provides you with the ability to those unwanted materials towards earning the pleasure of Allah. 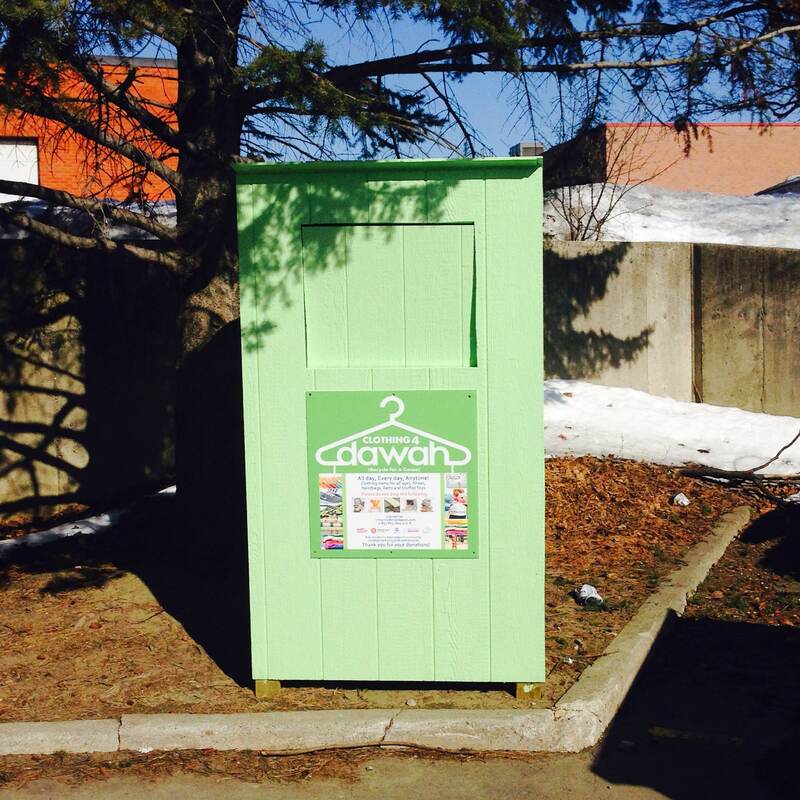 You can do so by dropping off your donations in the clothing bin at Al Huda Institute Canada, located at the back of the building in the parking lot.